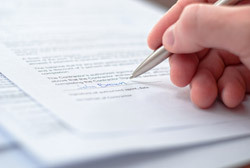 Property Settlement Agreements may be agreed to by the parties in a divorce prior to the filing of a divorce complaint, or after litigation in the divorce matter has commenced. Where appropriate and agreed to by all parties to the divorce, Hope A. Lang, prior to either party filing for the Divorce, will negotiate in your behalf for a legally binding contractual Property Settlement Agreement to be finalized and executed before either party files for the divorce. Such a Property Settlement Agreement may resolve issues as to division of marital assets and debts, alimony, custody and child support. A well-drafted property settlement agreement can avoid ambiguities as to custody arrangements and financial support, and it can avoid having to litigate these issues in court. Whether it be through litigation or through mediation, Hope A. Lang represents clients in all types of family matters including complex custody matters and high asset divorces. Hope A. Lang is experienced in complex custody matters and handling high income and high asset divorces which often involve complex asset evaluation, the evaluation of businesses, and determining the true stream of income from a business, which may involve hidden assets and cash income.